Trees are great, but sometimes they pose a hazard, need trimming, get diseased or die. 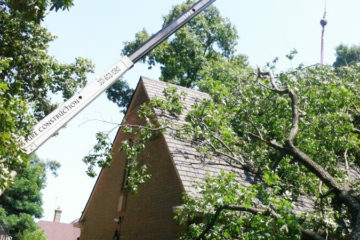 When that happens call on us to safely remove, trim or treat your trees. 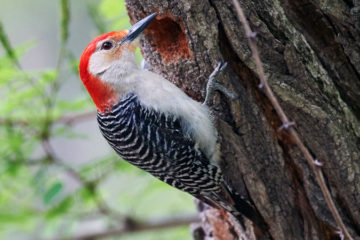 We are licensed Maryland Tree Experts and ISA Certified Arborists, which means that we are knowledgeable and skilled at performing tree service in a safe and effective manner. We are also experienced in handling insurance claims. 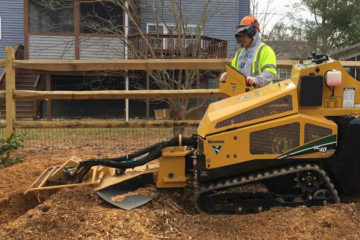 Unless you have a lot of experience, inadequate shrub trimming and tree services could result in damaging the look of your property and put you in danger. At Green Future Tree Specialists, we provide well-tested, environmentally-friendly methods of curing, stopping, and preventing plant diseases, as well as assisting you in professional tree and shrub removal and trimming. 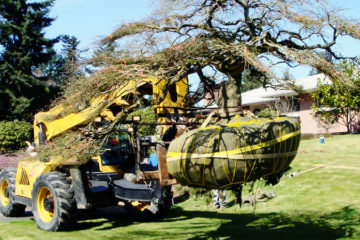 Our well trained staff of tree specialists each have a minimum of 2 years of experience and are tested for their skill and knowledge. Because of our dedication to quality service and reasonable pricing, we have received an "A" rating on Angie's List for tree service. Don't put yourself at risk, a proper tree and shrub services could provide a safer environment for you, your family, your co-workers, etc. If a branch is suspiciously hanging over the roof of your car, you know who to contact. To get a free quote call us today 301.603.1080. 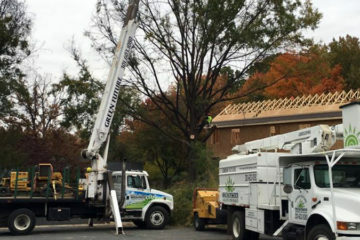 We are licensed Maryland Tree Experts and ISA Certified Arborists, which means that we are knowledgeable and skilled at performing tree service in a safe and effective manner. We are also experienced in handling insurance claims.